Quail legs in escabeche marinade make a tasty tapa. 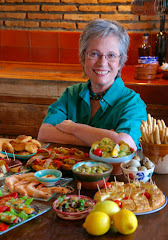 Escabeche is one of my favorite cooking methods. I use it for fish, poultry and game. 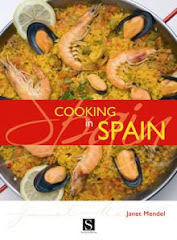 The procedure, which involves putting cooked food into a vinegar marinade, makes tangy foods that are great for tapas and for salads. 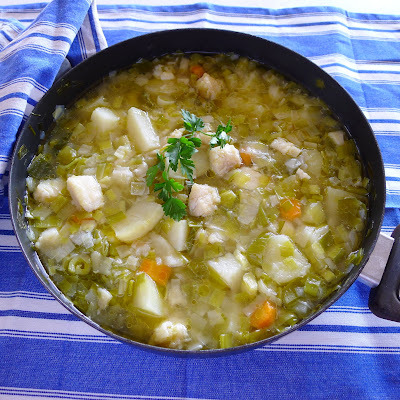 Escabeche is an ancient way of preserving foods. 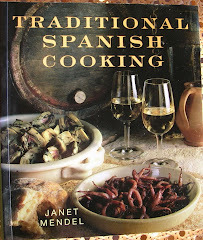 Hunting once was much a part of rural life in every region of Spain. where small game—rabbit, hare, partridge and quail—were free for the taking on scrubby hillsides and in dry ravines. 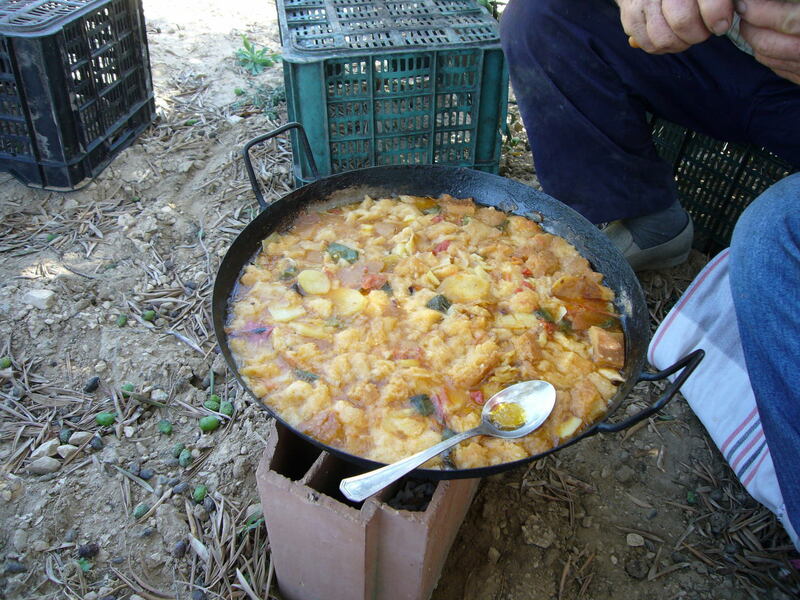 During the season when hunters returned with an abundance, the game would be dressed-out and cooked in a marinade, then packed into clay pots. Olive oil in the marinade would rise to the top and create a protective seal, allowing the escabeche foods to be kept for several months during the cold season. 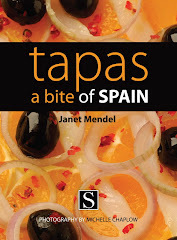 Chunks of marinated meat could be reheated with beans or added, cold, to salads. Typically, escabeche is made with white wine, vinegar, olive oil, onion, garlic, salt, peppercorns, pimentón or dried chile, cloves and bay leaf. In order to conserve the game, the marinade needed to be very strong in vinegar. Nowadays, with refrigeration, the escabeche is not so sharp. Escabeche marinade is also used with fish, both fresh water trout, pike and tench, and seafood such as mackerel, sardines and oysters. Fish is gutted, floured and fried until thoroughly cooked. 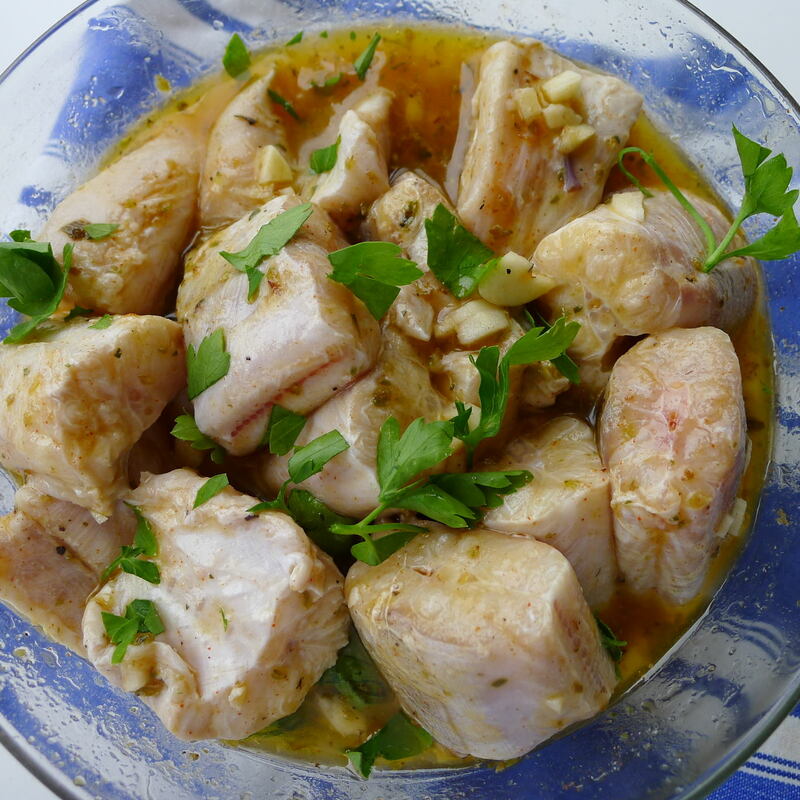 Then hot escabeche marinade is poured over the pieces of fish. Left to marinate for a day or two, the fish acquires a delicious tang. 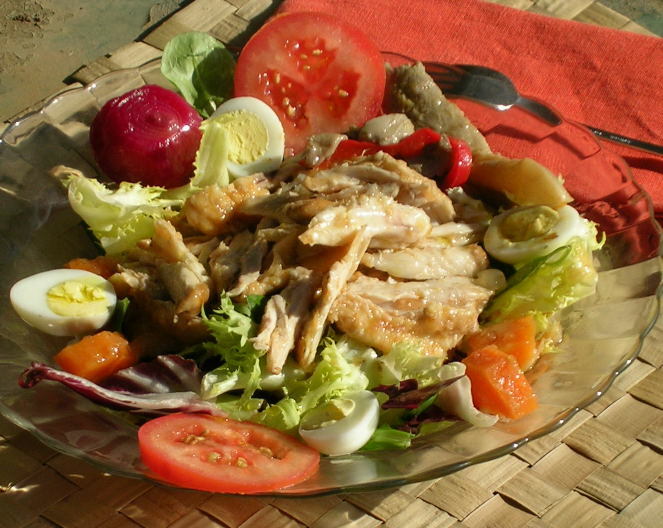 Escabeche fish is usually served as a cold dish, on a bed of lettuce and garnished with lemon and sliced tomatoes. When preparing escabeche marinades, use nonreactive pans and bowls—glass or ceramic. Dusting the fish or poultry pieces with flour before frying keeps them from splattering in the hot oil and allows them to brown nicely. 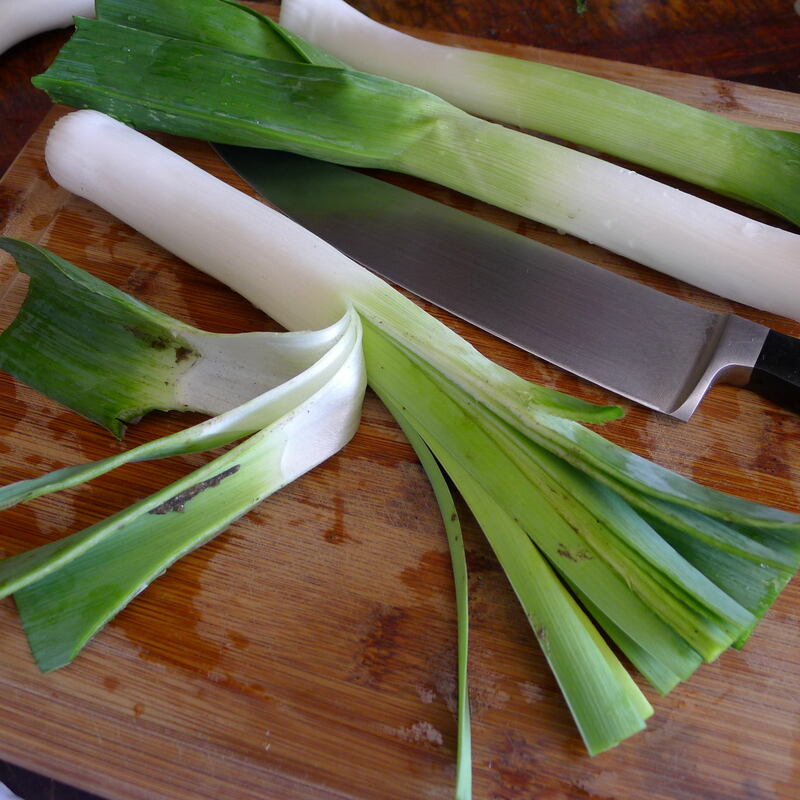 If using leftover cooked food (for example, roast turkey), simply add it to the marinade and bring to a boil. It does not need to cook further. Warming escabeche before serving helps to liquefy the jellied marinade. The foods can can be served warm or room temperature. ChupaChups is a popular brand of lollipop. Eat these miniscule quail legs right off the bone like a lolly, a two-bite tapa. Leave drumstick and thigh connected if you’re cutting them from whole quail. 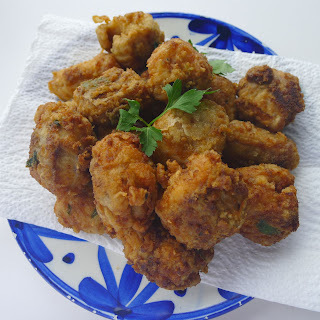 This recipe can also be prepared using chicken drumettes, the thick, first joint of a chicken wing. To serve as finger food, reheat the legs or wings to liquefy the sauce and skim them out of the liquid. If desired, wrap ends in foil, and serve with paper napkins, as they are a bit messy. 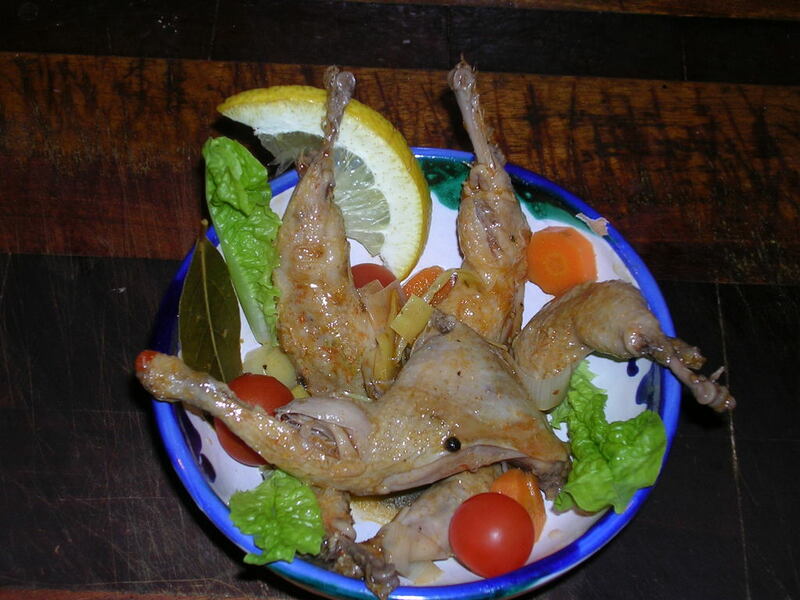 They can also be used in the following recipe for Salad of Pickled Partridge or Chicken. 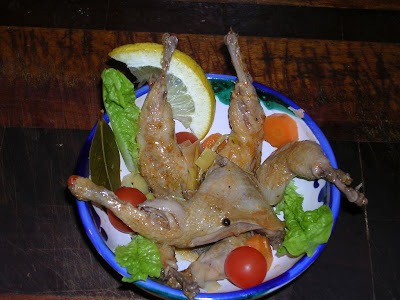 Sprinkle the quail legs with salt and pepper. 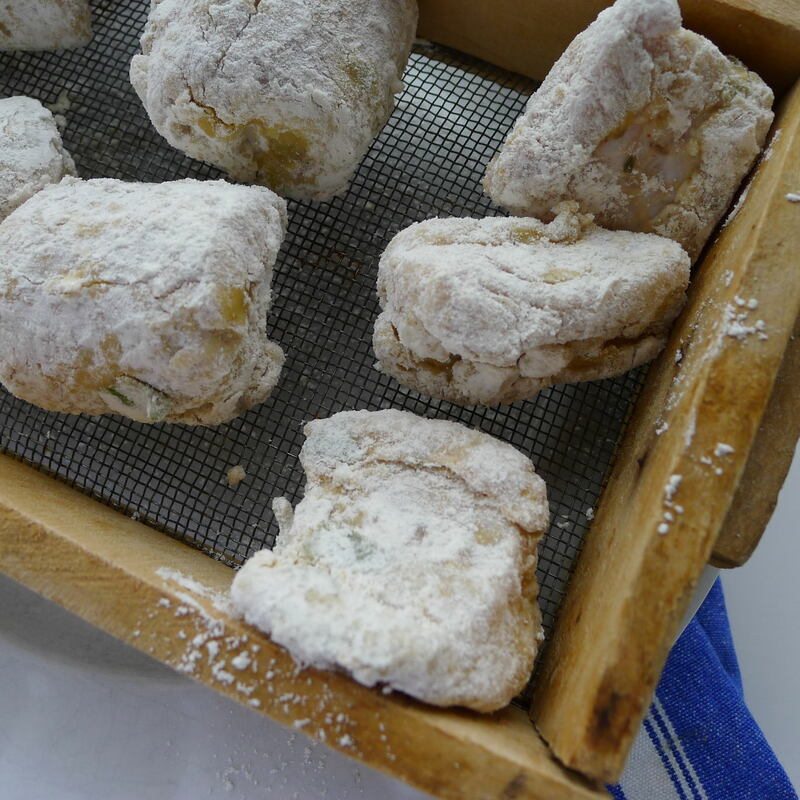 Dredge them in flour and shake off excess. Heat 2 tablespoons of oil in a skillet on medium heat. Brown the quail on both sides, about 2 minutes. Remove. Wipe out the pan. 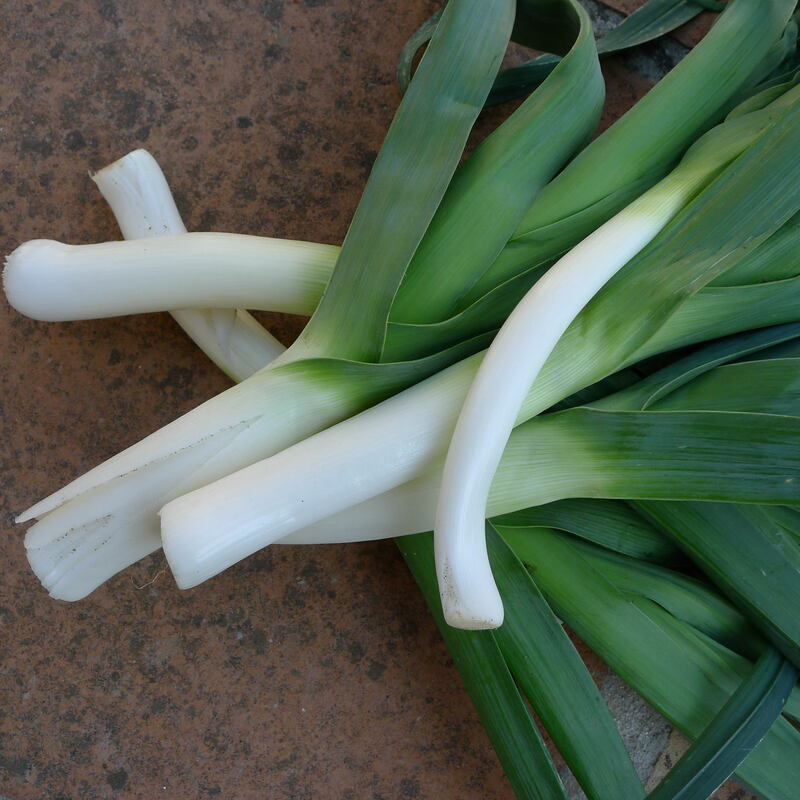 Add remaining 2 tablespoons of oil to the pan with the leek, carrot, onion, lemon, garlic, bay leaf, pimentón, chile, if using; peppercorns, oregano, salt, water, wine and vinegar. Bring to a boil. Return the quail to the pan. Cover and simmer until quail is tender, but not falling off the bone, 12 to 15 minutes. Remove from heat and allow the quail to cool in the marinade. Cover and refrigerate at least 24 hours or up to 48 hours. Serve cold or room temperature, garnished with salad leaves and tomatoes. Salad of chicken wing escabeche. 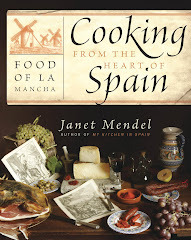 Partridge in spiced escabeche is an emblematic dish of La Mancha (central Spain). If you find canned pickled partridge at gourmet shops, serve it in this delectable salad. The salad is almost as good made with chicken wings in escabeche. Strip the meat from the bones, discarding most of the skin too. You’ll need the meat from about 8 wings (16 wing pieces) to serve 4. Use some of the carrots from the marinade in the salad too. The salad can be garnished with pickled mushrooms and onions. Or, omit the pickles and scatter pomegranate seeds over the salad. Divide the salad greens between 4 salad plates. Divide the boned partridge or chicken between the plates. 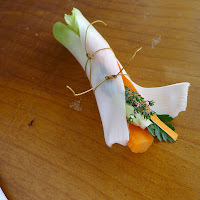 If there are carrot pieces in the escabeche, scatter them around the partridge or chicken. Garnish the partridge with hard-cooked eggs, tomatoes, oregano, scallions, pickled mushrooms and onions, if using, olives or capers. 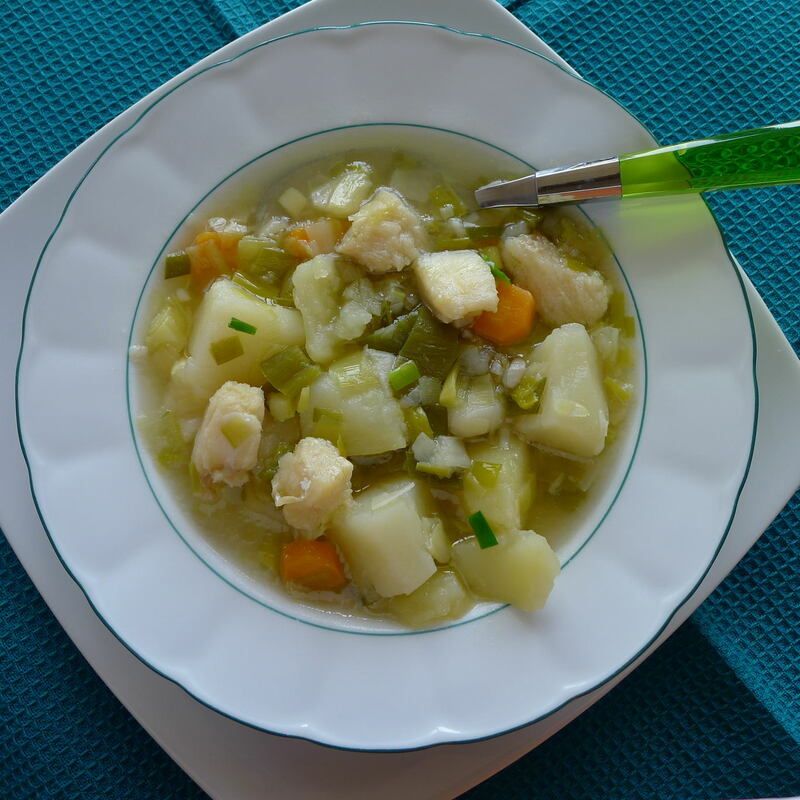 If escabeche liquid is jellied, heat it briefly in microwave or in a saucepan to liquefy. Drizzle 2 teaspoons of the pickling liquid over each salad. Dribble 1 teaspoon oil over each. Garnish with chopped parsley. Ann and Kenton haul olives to the mill. Even before the press starts to squeeze, oil begins dripping from the tower of mats spread with crushed olives. When the hydraulic press begins to slowly compress, the flow increases. Oil begins to pool in a trough at the bottom. This is pure “olive juice,” squeezed from fresh “fruit,” olives. 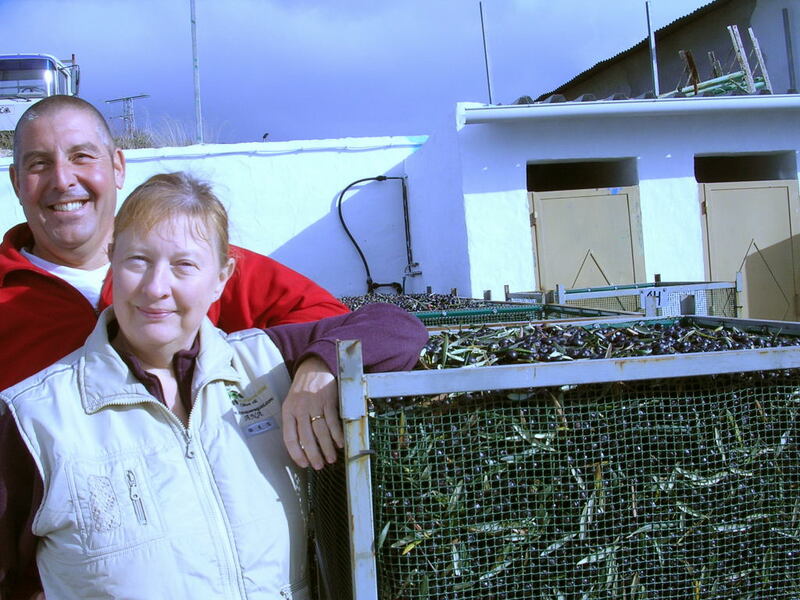 Watching are Ann Larson and Kenton Smith, who picked the olives on their 22-acre farm in Yunquera, a white village in the highlands of southern Spain, and hauled them to the mill. Later they will truck the extra virgin oil back to their farm. 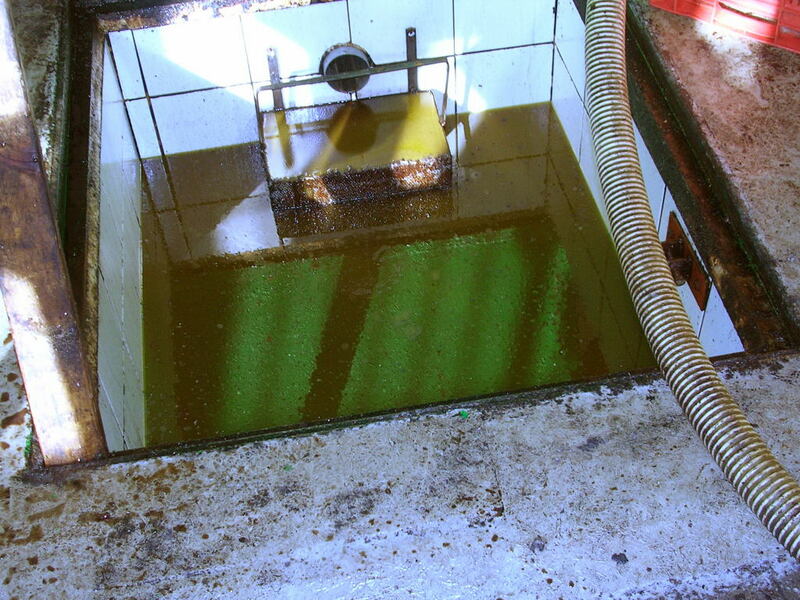 The olive juice as it is drawn off into a settling tank does not look appetizing. Allowed to settle in a convex tank, the oil rises to the top, leaving the dark water and sediment at the bottom. The oil is pumped out into big plastic jugs. Greenish-golden and still very cloudy, the unfiltered oil is ready for use without further treatment. Extra virgin. Fresh-squeezed olive juice. The traditional olive press in the small village of Yunquera is one of very few still operating in Spain. The process is simple. First the olives are tumbled and air-blowed in a hopper to remove leaves and dirt, then crushed by stones or steel wheels to release the oil. 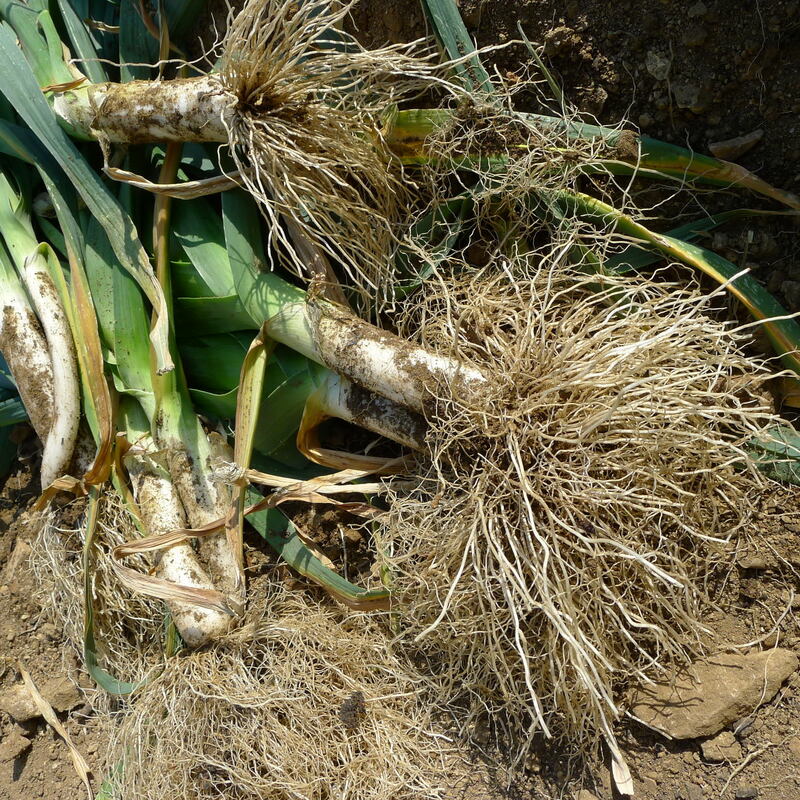 The pulp is spread onto mats woven of esparto grass or of polymer synthetics. These are stacked on a spindle on a hydraulic press, which squeezes the pulp tighter and tighter, allowing the oil to flow out through channels at the bottom. There is another, modern mill in the village. Like most oil processing in Spain, it uses a far more efficient centrifugal system to extract the oil. After crushing, the olive pulp is spun at high speed to separate the oil from the water and solids. 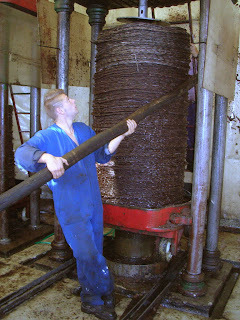 The traditional press, not very different from those used for milennia, is slow, labor-intensive and costly, but, said Ann, the locals think it produces the best oil. Ann pours new oil for tasting. 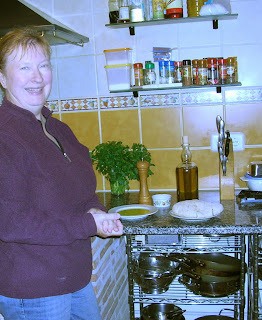 Back in the kitchen, where Ann and Kenton enjoy cooking together, Ann pours some new oil into a saucer and cuts up a mollete, fresh-baked bread roll, for dipping. The oil is fresh and fruity, a little herbaceous. For comparison, she sets out some of last year’s oil. It is heavier, more full-bodied. Ann, who is originally from Sioux Falls, SD, and Kenton, from Suffolk, England, left jobs in information technology eight years ago and moved to their mountaintop farm in Spain. They traded in their upwardly mobile lifestyle for an abandoned farm on a mountainside facing the Sierra de las Nieves national forest. There they built a small house amongst olive and chestnut trees with astonishing views to the tumble of white-washed houses of the village, across hills all the way to the Mediterranean coast. Ann and Kenton sell oil under their own label, Yunquera Gold, bottled in recycled wine bottles, or, for shipping to the US, in silver-grey Pepsi Light bottles. Now, that’s estate-bottled oil. But the oil is a hobby, not a business. A few years ago, Ann and Kenton started using their virgin oil to make artisanal soap for Christmas gifts. Stirred up in their small kitchen, the soap was scented with locally grown herbs and flowers. 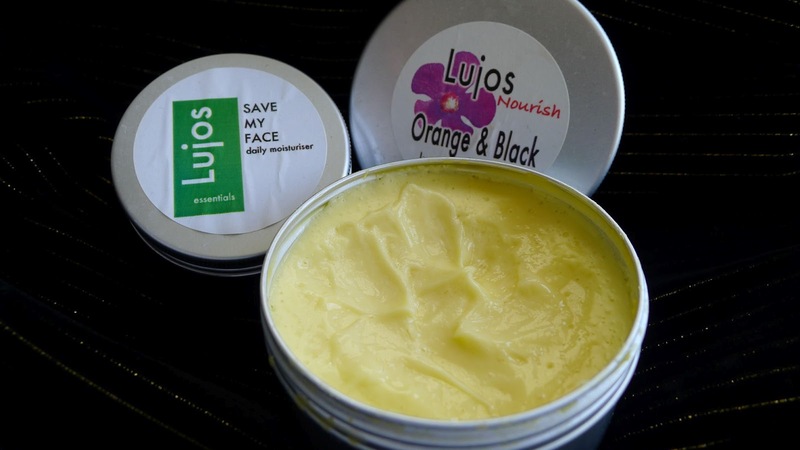 Silky olive oil cream has spicy scent. Ann’s notes: The sopa is served first. When people have eaten almost enough, bollo is made from the remaining sopa. This is because the bollo contains expensive ingredients! 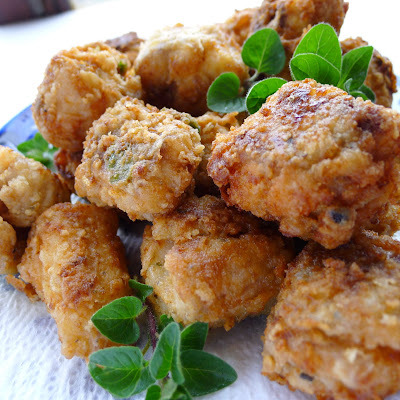 My grandmother did the same by serving my farmer grandfather fried potatoes first, then the meat and veg afterwards. Heat olive oil, then add potatoes. Turn occasionally, so they don’t burn on the bottom, but don’t turn too much or they will break apart. When softened, add the onions and garlic; cook a few minutes more, then add the green pepper and tomato, and other vegetables. Cook until potatoes are ‘al dente’. Add water to cover the potatoes; after it boils, heat through a few minutes. Add the torn bread and cook until the liquid has been absorbed. When people have nearly eaten their fill, prepare the bollo. Add the above ingredients to the remaining sopa, and stir. Flan, that sweet, golden custard resting in its little pool of dark caramel sauce, is as Spanish as sunshine. 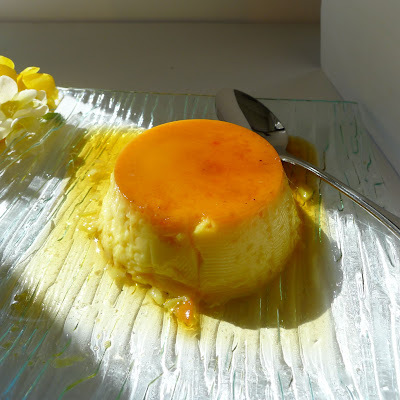 Flan really comes into its own in the spring, especially during the Easter season. That's because, in the spring, cows, goats and ewes give an abundance of milk. Hens are laying. What better way to use up the season's bounty than to turn it into luscious custards? 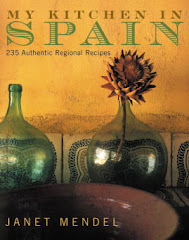 Classic flan calls for whole cows' milk infused with lemon zest and cinnamon stick and bound with whole eggs. Individual custard cups are coated with caramel before being filled with the custard mixture. The cups are set in a baking pan partially filled with boiling water. After baking, the flans are allowed to cool and are unmolded immediately before serving. Baking liquidizes the caramel, which spills over the custards when they are unmolded. Flan should be firm enough to stand unsupported, but just a little wobbly. When making caramel to coat the molds, I use a light-colored pan, so I can watch the sugar changing color. As the water cooks off, the sugar bubbles into a thick syrup, then begins to turn gold around the edges. Rather than stir, tilt the pan to mix it. It’s ready when the syrup is a dark gold, not brown. This takes about 6 minutes. Then, work quickly and pour into the flan cups. The caramel hardens almost immediately. If it sets up too quickly, set the pan back on the heat until it melts. To clean the pan after making caramel, partially fill it with water, bring to a boil, put the lid on and let boil one minute. Remove from heat, leaving the lid on. The steam will clean the sides of the pan. Free-range eggs for making flan. 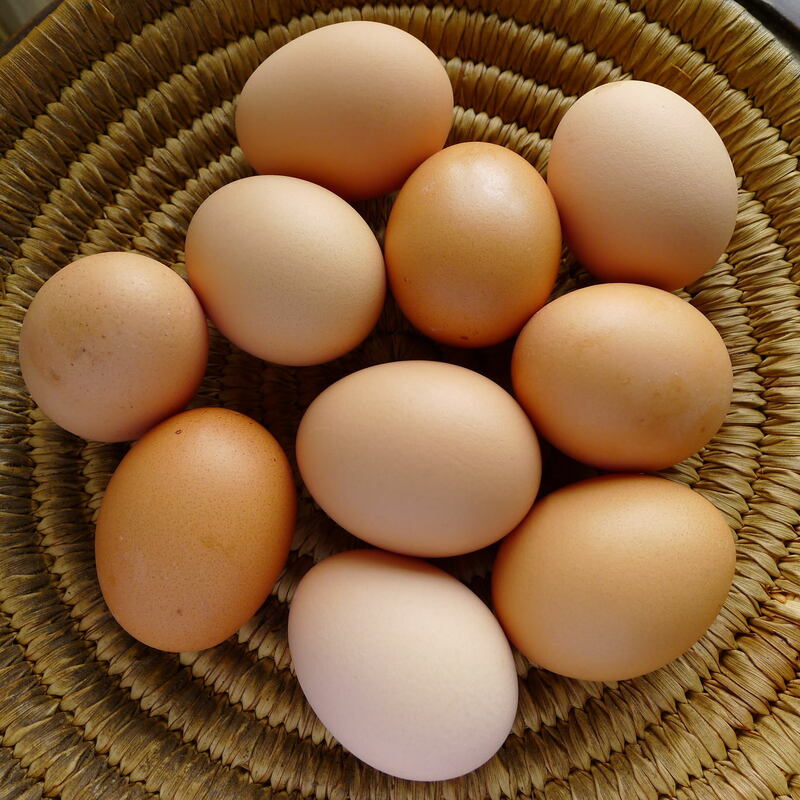 I buy fresh, free-range eggs for making flan. The flans need to bake very gently, so set the cups in a pan partially filled with hot water. 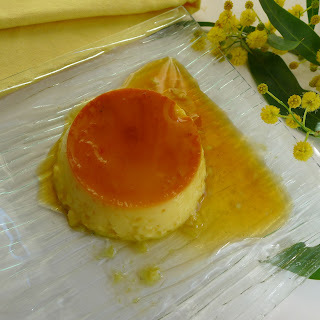 The traditional flavoring for flan is lemon zest and cinnamon stick, infused with the hot milk. Or, use instead a vanilla bean, or a combination of orange zest and a favorite herb (rosemary or bay leaf, for example). In this version, I have used saffron in place of cinnamon, lending a very subtle aroma and a sunny yellow color to the flans. Have ready 8 1-cup custard cups (preferably metal). Place ½ cup of sugar in a small heavy saucepan with 3 tablespoons of water. Cook until sugar melts and turns a dark gold. Quickly pour the syrup into the custard cups, tilting them to cover the bottoms. Combine the remaining 1 1/2 cups of sugar with the milk, lemon peel and saffron in a saucepan. Place the beaten eggs in a bowl. Heat the milk until sugar is dissolved. Whisk the hot milk into the eggs. Pour the milk and eggs through a strainer into a heat-proof pitcher. Discard lemon peel. Divide the custard mixture between the custard cups, filling each about 2/3 full. Set the custards in a pan and add boiling water to half the depth of the cups. Bake the custards until set (a thin skewer comes out clean), about 1 hour. Cool, then refrigerate. Immediately before serving, dip the bottom of each custard cup in hot water. Loosen the custards with a knife and invert each on to an individual dessert plate.